Kick off your Lights in the Heights weekend at Friday Night Lights on Friday, December 7 from 5:00 – 9:00 pm on Norhill Esplanade. At this festive event, neighbors can gather around the campfire and toast marshmallows or enjoy dinner from a local food truck under the glow of Jurassic Christmas displays. Lights in the Heights merchandise will be on sale all night, so be sure to grab your private party signs and keepsakes. Some of our generous sponsors, Memorial Hermann Greater Heights and H-E-B, will also be at the event to spread the holiday cheer. Enjoy the lights around the neighborhood by hopping on the famed hayride, starting at 5:30. 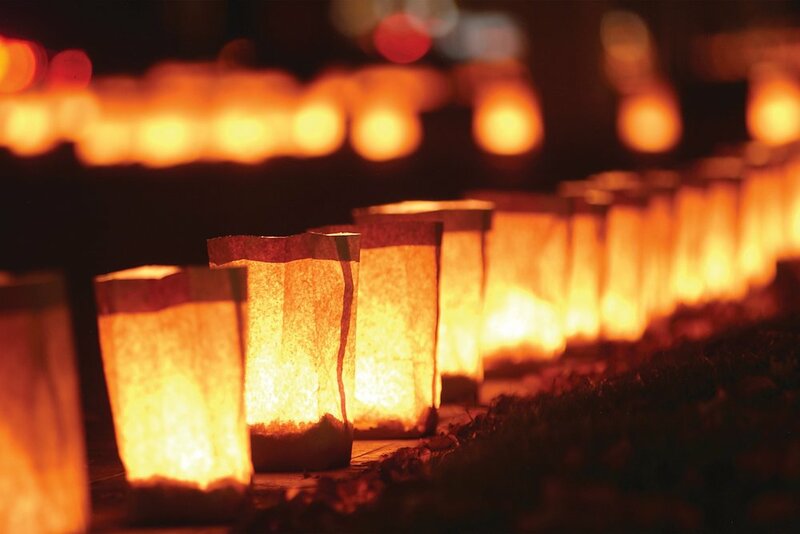 Children can take part in a 30-year-old neighborhood tradition at the craft tent and decorate a luminaria. And while you are enjoying all the fun, keep your ear out for sleigh bells because Santa and Mrs. Claus will arrive at 6:30. To give back as a neighborhood, Woodland Heights will host a toy drive in coordination with the Lights and the Heights festivities. Bring a new, unwrapped toy to the Norhill Esplanade on Friday, December 7 from 5-9 pm or Saturday, December 8 from 9 am - 12pm. There will be large donation boxes with the Operation: Stocking Stuffer logo for your gift. To volunteer to help with FNL please contact katie.m.mccafferty@gmail.com.